store it at Lost Valley! 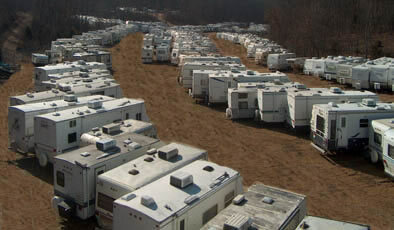 We have two separate RV Storage lots available. The Executive Owners lot is located next to the Service Center. The lot for Charter & General Owners is located across from Reservations. 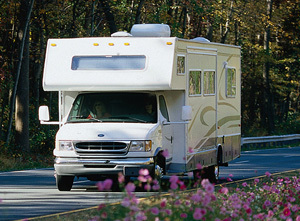 For general questions regarding RV Storage such as signing up, spot on/off, availability, etc. call 1-800-865-2100 or Stop by Reservations or email: rvstorage@lostvalleylake.com. 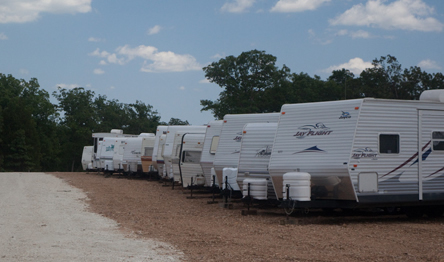 To discuss RV Storage billing, please call 800-489-2100 ext 2247 or email financialservices@lostvalleylake.com. Check with Reservations for availability. Sign RV Storage Rental Agreement. Bring a copy of your RV Title-must be registered to LVL owner. You will receive display numbers for your unit. Please be sure to display the numbers you are given on the hitch side of your unit, preferably in the window if applicable. Rent Cost - $40 per month or take advantage of the Early Bird Special. Pay a full year of storage payable in advance with the January quarterly billing & receive one month free. Temporary Storage - if space permits, you may store your RV on a temporary basis at the rate of $2.00 per day. For the Executive owner, one unit will be allowed under free storage entitlement, call for availability. Please inform Reservations of RV put in or taken out of storage and if the license number changes on the RV.